Germany has its next takeover: Berlin-headquartered advertising network Zanox has bought a majority shareholding in Hamburg-based real-time bidding company Metrigo for an undisclosed amount. Zanox, in which Axel Springer is a majority shareholder, will use the acquisition to build up and internationalise one of its segments: Zanox Performance Display. Metrigo’s three-man management and founding team, including Tobias Schlottke, Christian Müller and Philipp Westermeyer, will continue their roles in the company. In addition, the company’s management team will gain Martin Reiß, Zanox’s country manager for the DACH region. It’s the second exit for Metrigo’s founding team. In 2010, performance marketing business Ligatus took a majority shareholding in the founders’ previous startup Adyard. 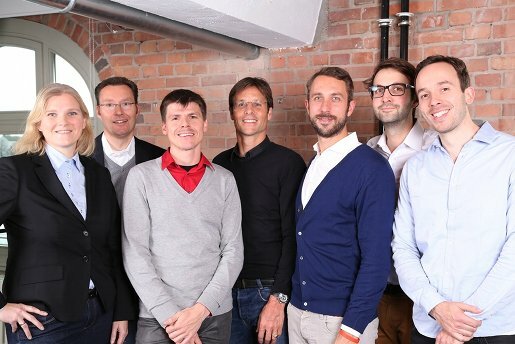 Launched in 2011 in Hamburg, Metrigo now employs 20 people. It’s a portfolio business of Berlin-based company builder Project A Ventures, which provided a significant part of its seed investment. The startup works with companies such as Zalando, Mobile.de, Mister Spex and discount telecommunications network Blau.de.